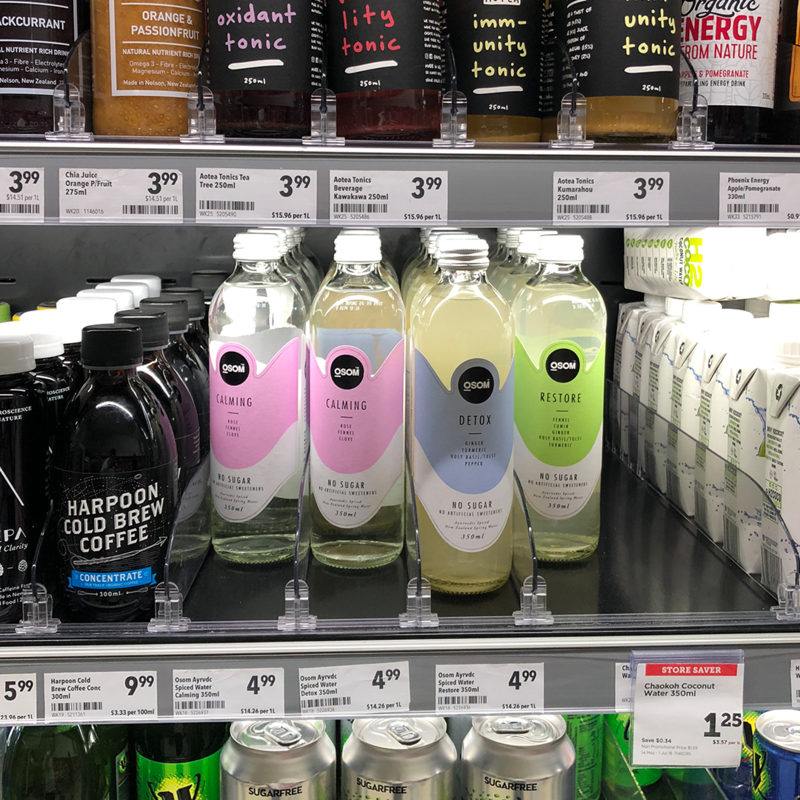 Great to see the OSOM spiced water range selling in New World. The catchy packaging design and bottle shape makes it stand out on shelf and reinforces the Premium quality. They taste great - although a little unusual at first, the spiced water is so refreshing, and amazingly great for you body, mind and soul. Better still there's absolutely NO SUGAR and NO ARTIFICIAL SWEETENERS what so ever.